I recently joined another digital art group, a subgroup of another group I’m in. This new group, Kaizen, gives its members an optional monthly project to participate in, along with tutorials, training and gigabytes worth of royalty free content. One of the stipulations of the projects is that we can’t publish our project outside of the group until the project is deemed completed and closed. It closed recently, so here’s my contribution. The project was to make art based around one of our favorite books, while trying to incorporate, if possible, an image of the book itself and elements that might relate to the content of the book. 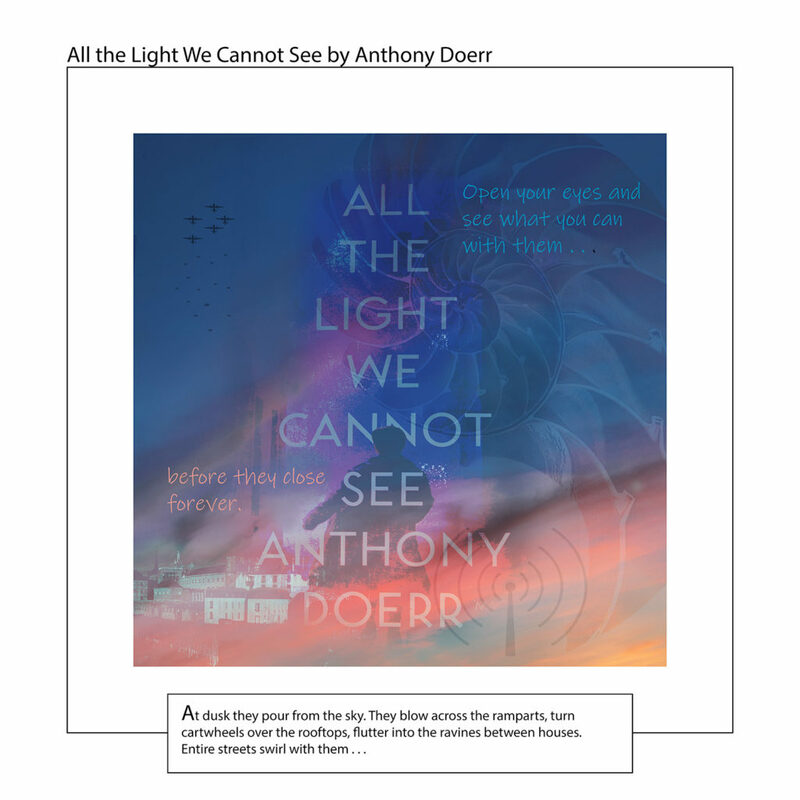 I had just finished reading an exceptional novel, “All the Light We Cannot See”, the 2015 Pulitzer Prize Winner for fiction written by Anthony Doerr. I highly recommend it. So, here’s my effort. I included my favorite quote from the book inside the image and the bottom quote is the first line or two from the novel. The various other elements in the image relate to the contents of the book. Hope you like it.